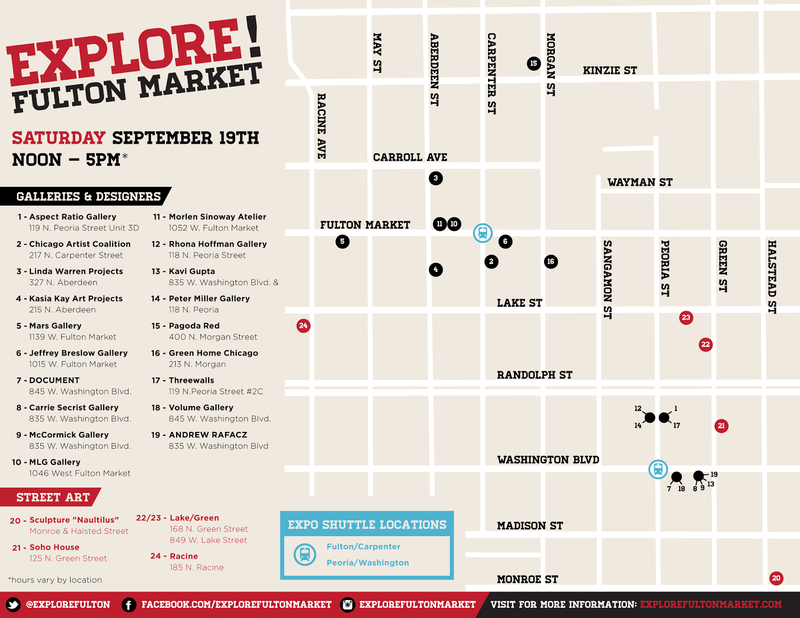 Explore Fulton Market is an annual event showcasing businesses and Galleries that make up this unique area in Chicago's West Loop. 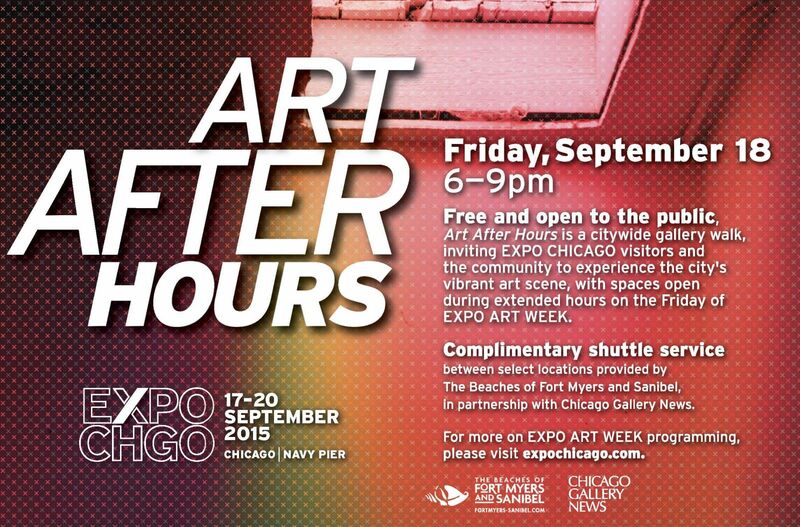 Friday (September 18th) – Sunday, 12:00pm to 6:00pm daily. 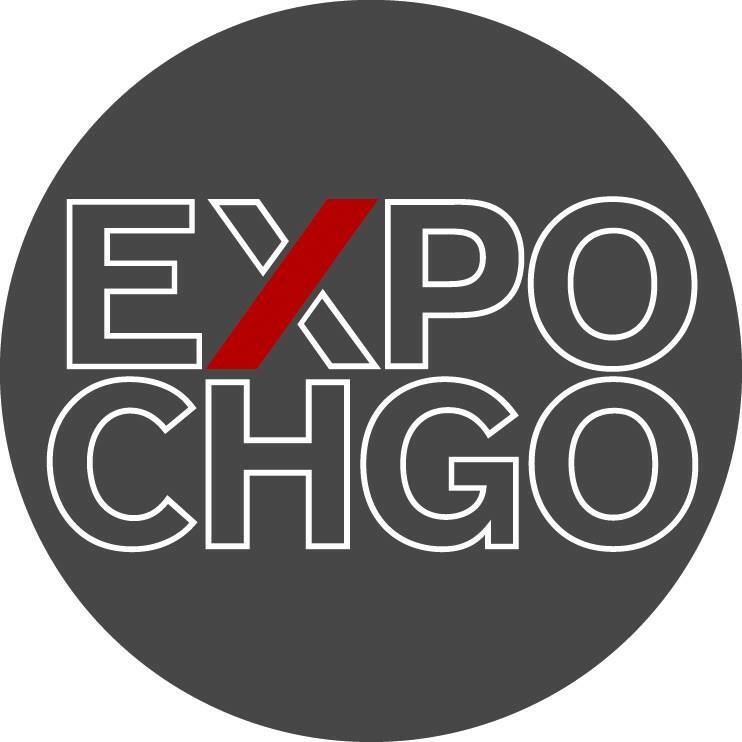 Shuttles will run between EXPO CHICAGO at Navy Pier, the Museum of Contemporary Art, The Art Institute of Chicago, Sullivan Galleries at the School of the Art Institute of Chicago, River North and West Loop gallery districts, with many galleries holding extended hours during the fair. 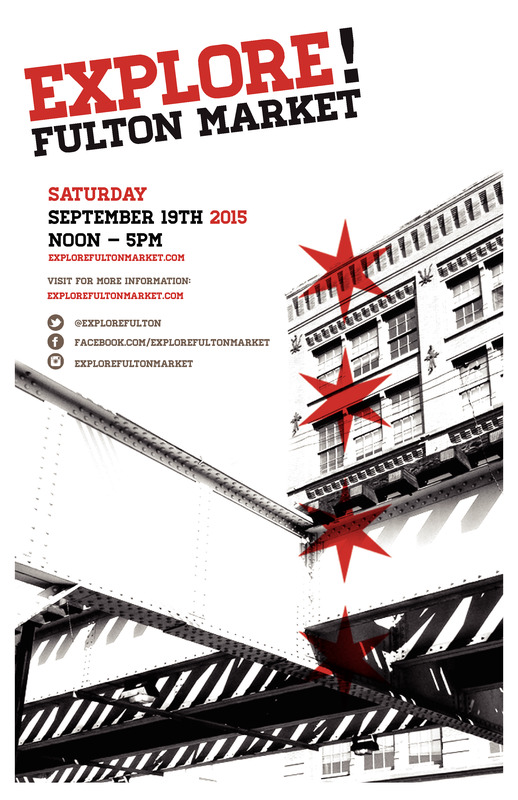 Shuttles will depart Navy Pier on the hour and half hour. 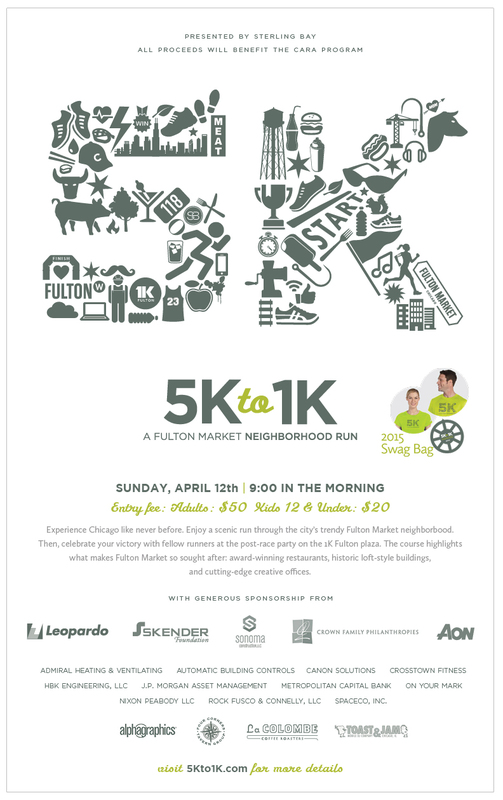 Join us for the inaugural neighborhood run in the Fulton Market neighborhood. 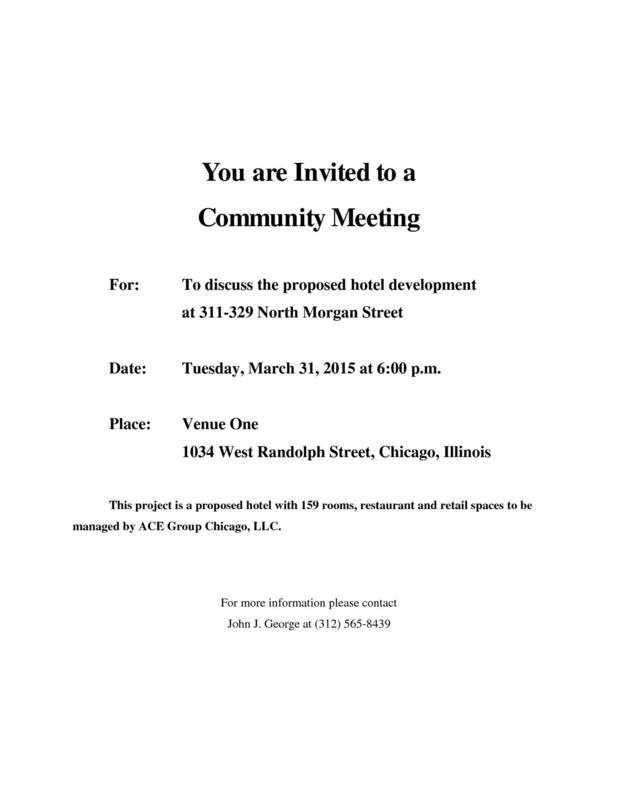 After party will be at 1000 West Fulton Plaza. 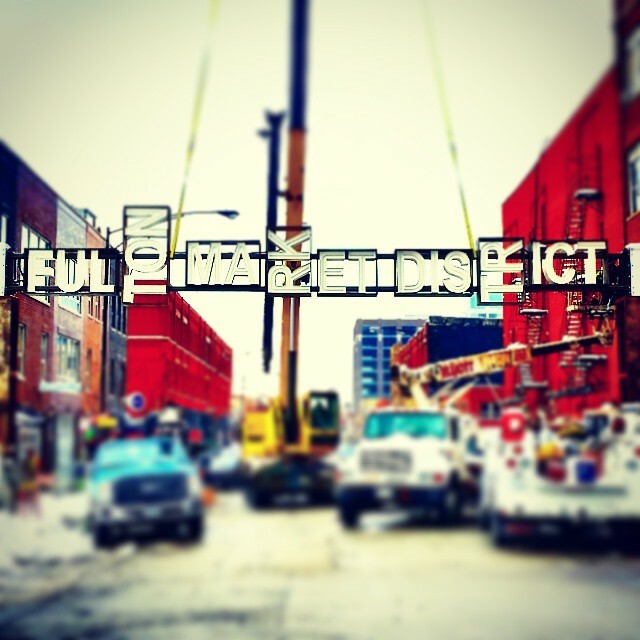 Fulton Market District Gateway Installed Today! 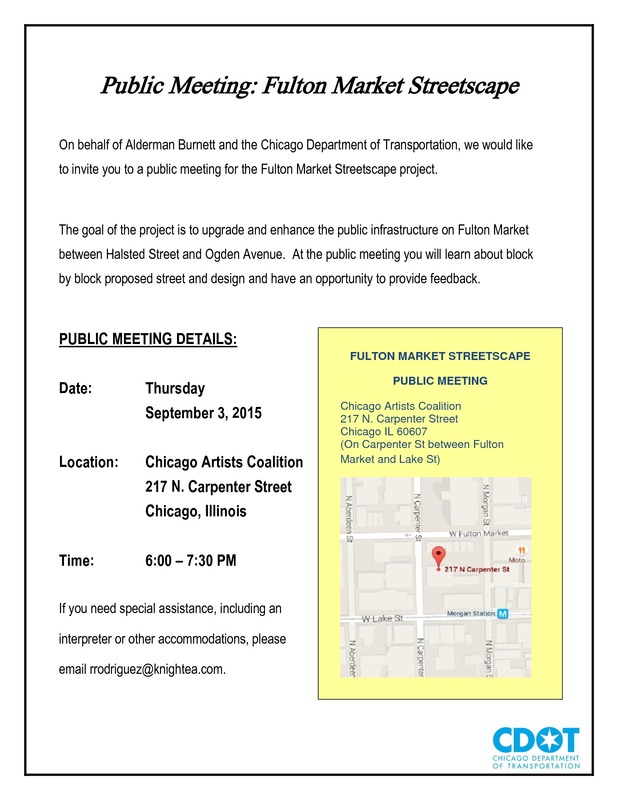 See presentation of gateway concepts from the April 2014 on Fulton Market District Identifier Task force Here. 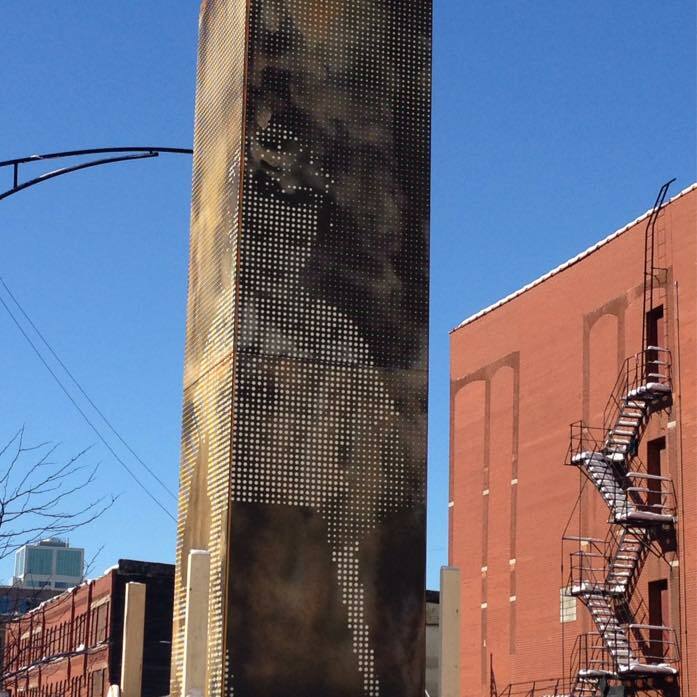 Art Headlines, October 24: Openings, An Arty Halloween, Roy Boyd’s Closing Sale, Chicago Artists Month Click Here for the latest.